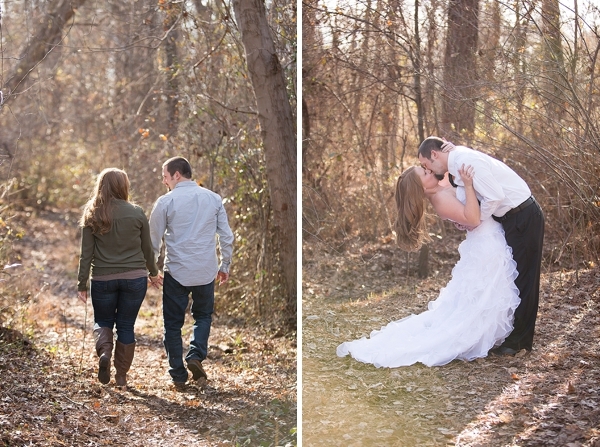 For their first anniversary, Chelsea and Eddie wanted to do something different, but wasn't quite sure what. 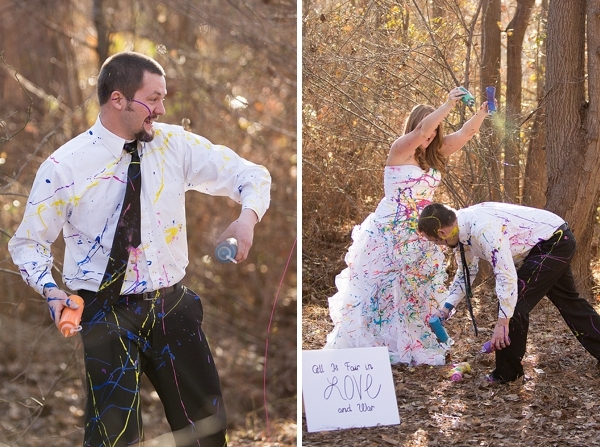 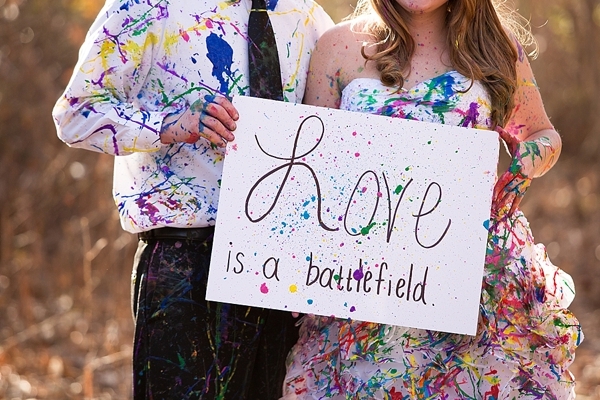 After discussing a few ideas with their photographer Jessie of Schu's Shoots Photography, they decided that a unique spin on the "trash the dress" trend would be a great way to celebrate their first year of marriage. 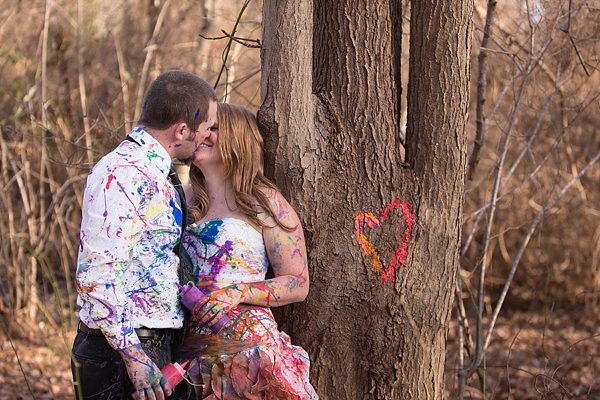 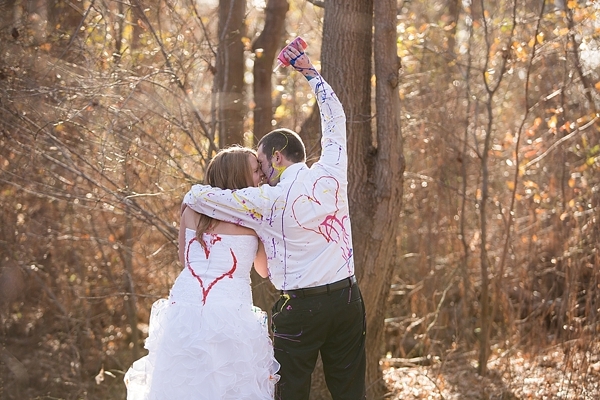 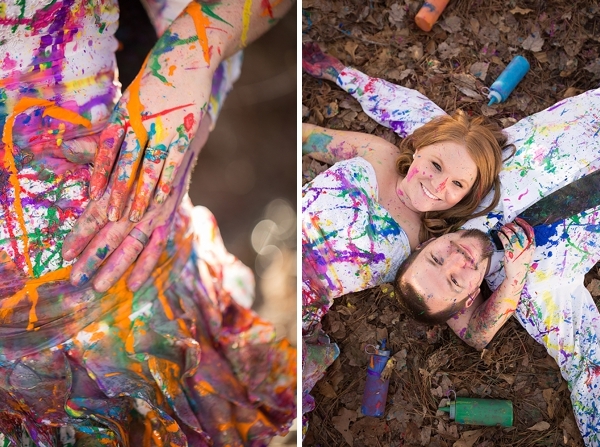 And so a Paint the Dress anniversary session was to be at Deep Creek Lock Park in Chesapeake! 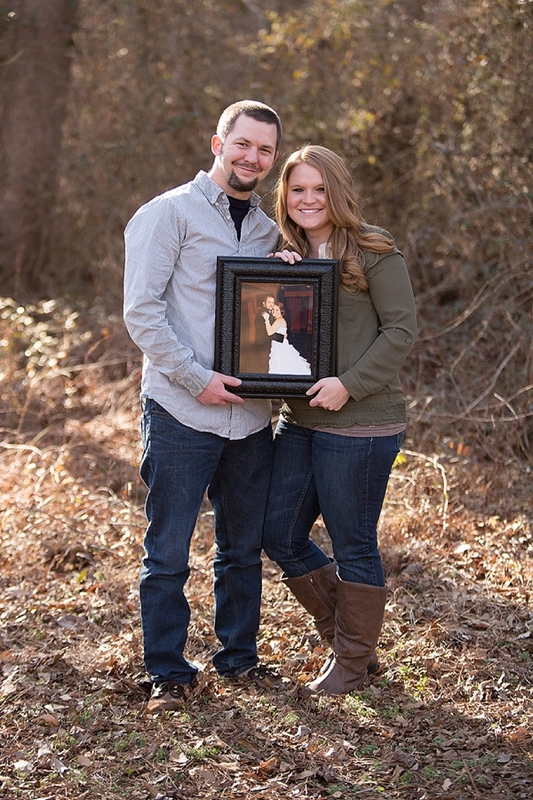 And because we know everyone is wondering, Chelsea's gorgeous bridal gown was just fine afterwards. 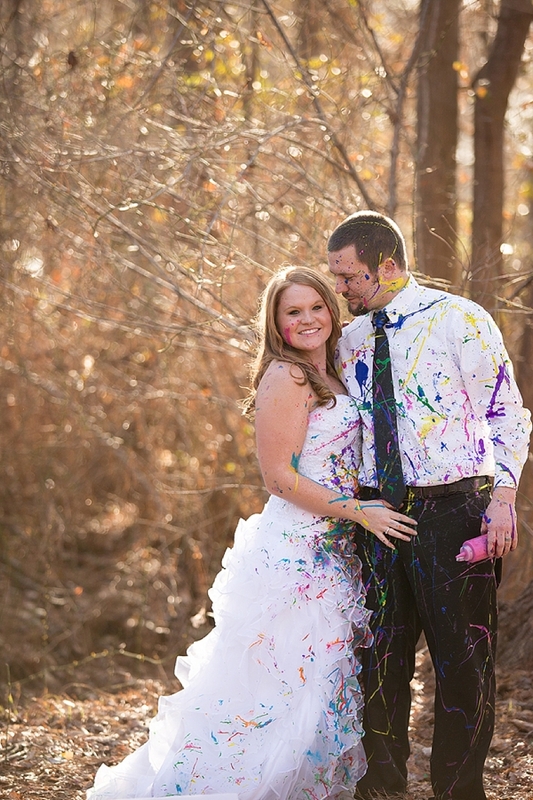 She put her gown into a regular washing machine that day, and it came out as white as her wedding day! 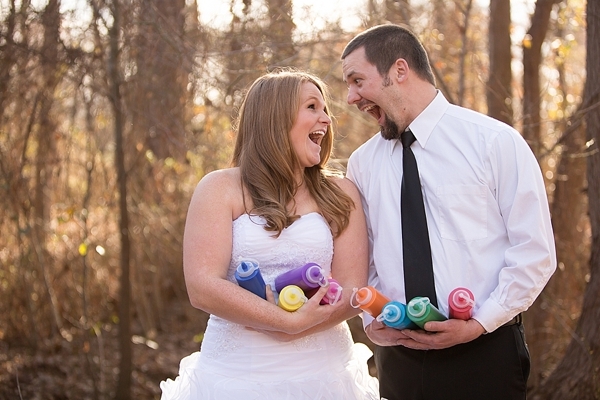 Talk about having fabulous water-based paint!